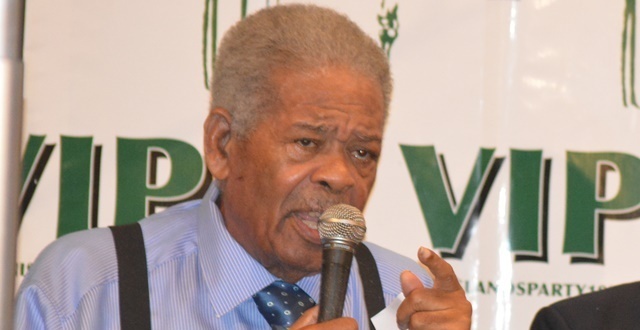 The BVI Cricket Association (BVICA), in conjunction with NAGICO Insurances, will be honouring former Premier Hon. Ralph T. O’Neal with a special commemorative presentation during a ceremony on Sunday, April 14 at the Greenland Recreation Ground, East End for his contribution to the sport in the Territory. Recently, the Association announced that NAGICO came on board as the major sponsor of the tournament and it was then decided that the winning trophy will be named after the former Premier, who is also a past President of the BVICA, an ardent cricket fan, strong supporter of the game, and ex-player himself. All of the matches in the tournament are being played at Greenland and the ceremony will start at 12:30 p.m. after the conclusion of the first of two games scheduled to be played on the Sunday. BVICA President Vajendra Bharat will present a special plaque to Mr. O'Neal as an expression of appreciation for his acceptance of the naming of the winning trophy after him and in recognition of his contribution to the game here in the Virgin Islands. The morning game will be played between the Police and Vikings Cricket Clubs, while the game after the ceremony will feature BVICA Champions Cavaliers Cricket Club and the Virgin Gorda Spartans, a fitting match for Mr. O'Neal to see, given his representation of the Ninth District constituency, which includes that Sister Island. Managing Director of NAGICO Insurances Shan Mohamed, a former BVICA President from 2010-2014, will also be on hand to witness the game. He said it is quite fitting that the cricket community recognises Hon. O’Neal’s “unparalleled” contribution to the sport. Mr. Mohamed said he was delighted to re-enter the arena as a major sponsor of cricket, as the company has been proudly associated with the sport throughout the region for several years. “So I am quite pleased to be partnering with BVICA for this tournament,” he said at a recent press conference. Mr. Bharat said he welcomed NAGICO’s sponsorship and expressed appreciation for the company “saving the day”, adding that several others who were approached were unable to come on board for understandable reasons. A total of eight cricket clubs entered the tournament, namely Vincy, Royal Knights, RTW, Grenada, Cavaliers, Vikings, Police and Virgin Gorda Spartans. The tournament is being played on a round robin format, after which four teams will advance to the play offs before the third place match-up and final, scheduled for July 21.